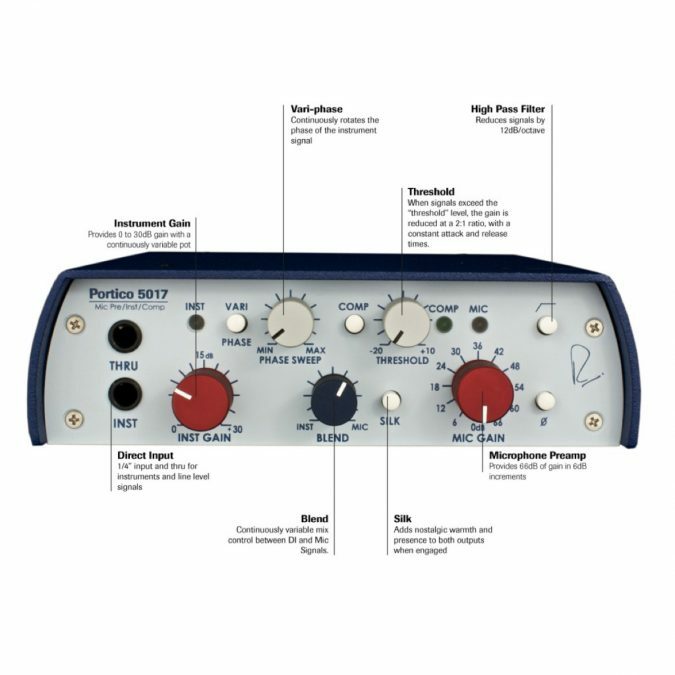 Comprised of a rugged, portable chassis with world class Portico pre-amp, compressor and DI circuits as well as two channel operation, variphase, silk and DI/mic blending capabilities, the Rupert Neve Designs Portico 5017 is an innovative and powerful tool for recording or live performance. In replacing the Portico 5016 Mic Pre / Variphase DI, the 5017 Mobile DPC adds single knob compression, DI / Mic Pre blending, and a go anywhere design to a well established classic. With Portico Series custom transformers and silk mode, the Mobile DPC’s sonic signature is nothing short of legendary. 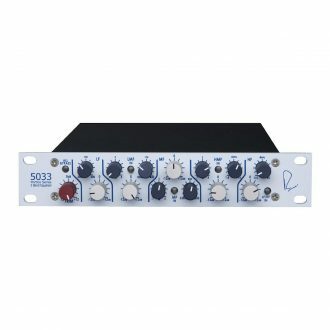 It’s the 5017’s revolutionary feature set however that make it an indispensable tool for studio recording, live recording and stage performances. 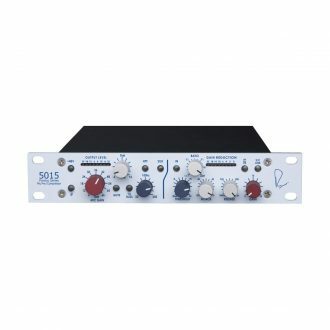 Used as a two channel device, a lead singer and guitar player, can take the classic studio quality of the 5017 wherever they go; using the DPC for a Vocal mic pre and compressor, as well as a separate DI preamplifier. To achieve this, the blend control should be selected as fully DI (blend off), and an internal jumper can be selected to apply the compressor to the mic pre signal. When engaged, Silk mode would effect both vocal and guitar tracks, and the HPF control would effect only the mic path. 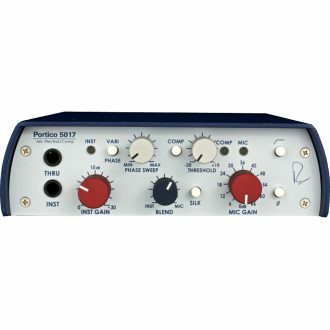 Used as a single channel device for instruments, the Rupert Neve Designs Portico 5017 can be used to phase align, combine and compress direct and amplified signals. To achieve this, use the DI for the instrument’s direct signal and the mic preamp for the speaker cabinet signal. The blend control is used for mixing direct and amplified signals to achieve the desired tonal blend between the two sources, and the variphase is used to minimize or extenuate phase cancellations between the two signals. To compress the blended signal, the internal compressor jumper must be set to the blend path (this is the default setting). 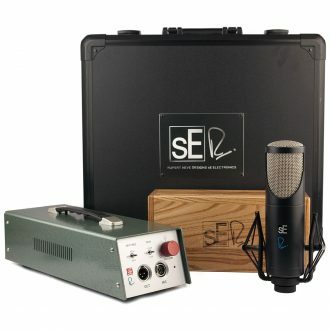 This technique could also be used to create a single, mixed output of a guitar and vocals. Based around a new LDR (light dependent resister) design, the 5017’s opto-coupler compressor has been simplified to a single threshold control with auto make up gain. 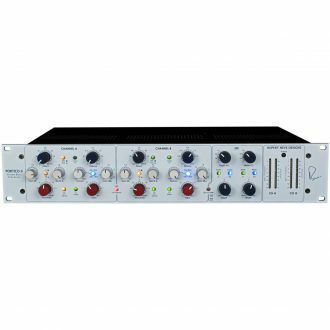 By default, the compressor is set to a fixed 2:1 ratio with an internal jumper to change between standard and fast time constants. 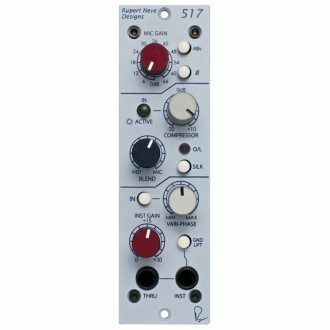 To set the compressor, simply dial the threshold control down until the desired amount of compression is achieved. An LED light indicates when the compressor is active. In addition to the standard polarity reverse, the 5017 also incorporates a vari-phase control to adjust the phase incrementally. This control is useful any time two signals derived from the same source are combined. This technique is also extremely useful when combined with the internal blend control on instruments. 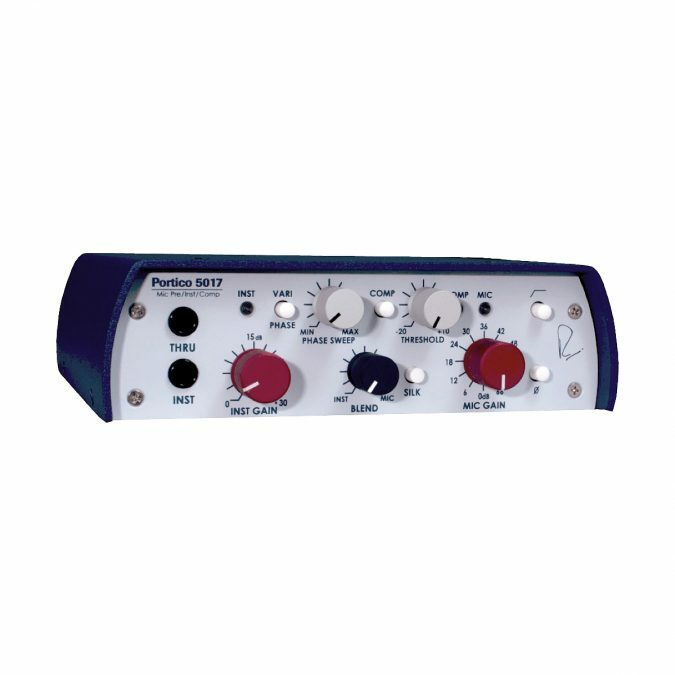 A bassist, using both direct and miced signals can blend the two into a single output, using the vari-phase to reach an optimal alignment. 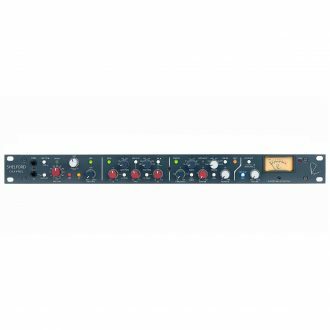 By adjusting the phase in the 5017, the musician or engineer can find the absolute best mic position without regard to the phase relation to the direct signal. With the Rupert Neve Designs Portico 5017, the Portico sound is always within reach. 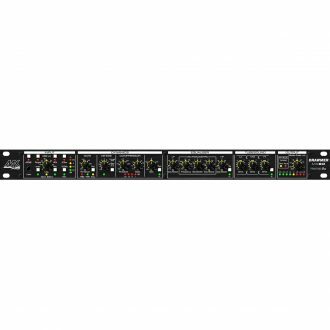 With two transformer coupled outputs, the 5017 has separate line outputs for the DI/Blend and Mic signals when the blend control is set to fully DI. The mic output is always independent. The high pass filter is a valuable aid in any signal chain but particularly so in a microphone preamplifier. Signals below 80hz can be attenuated at a rate of 12db / octave, getting rid of building rumble, air handling motor hum etc. 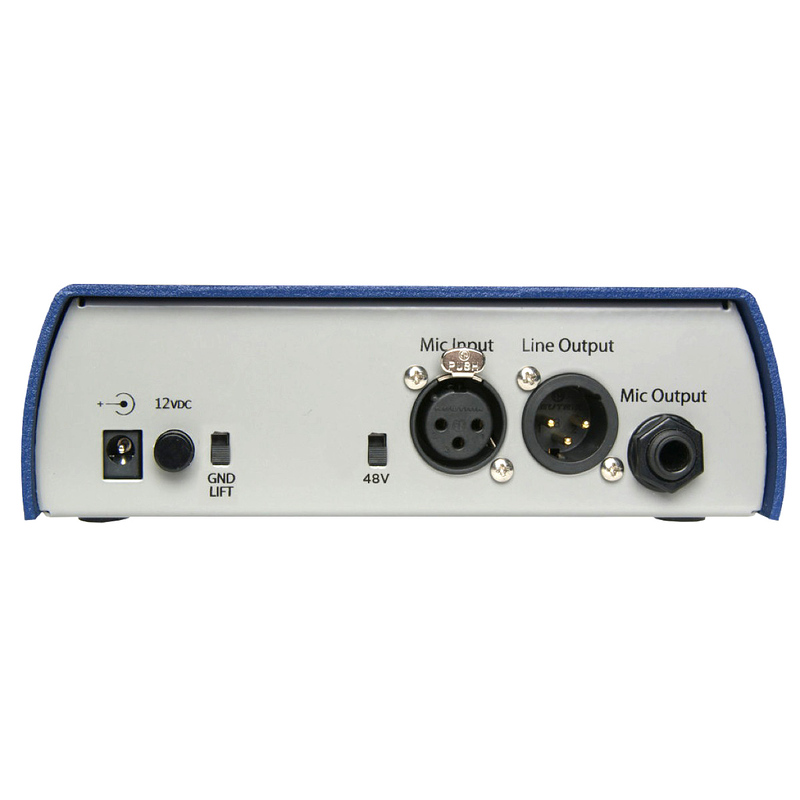 Provides 48v phantom power to microphones. Controlled by a switch on the back of the unit. When signals exceed the “threshold” level, the gain is reduced at a controlled 2:1 ratio, with attack and release time constants set to standard or fast depending on the internal jumper setting. Indicators on the 5017 denote signal presence and clipping on both DI and mic signals, as well as compressor activation. Two internal jumpers in the 5017 can be set to change the compressor from the mic channel to the di / blend channel, and to change the compressor time constant from standard to fast. Measured channel to channel: Better than –90 dB @ 15kHz.